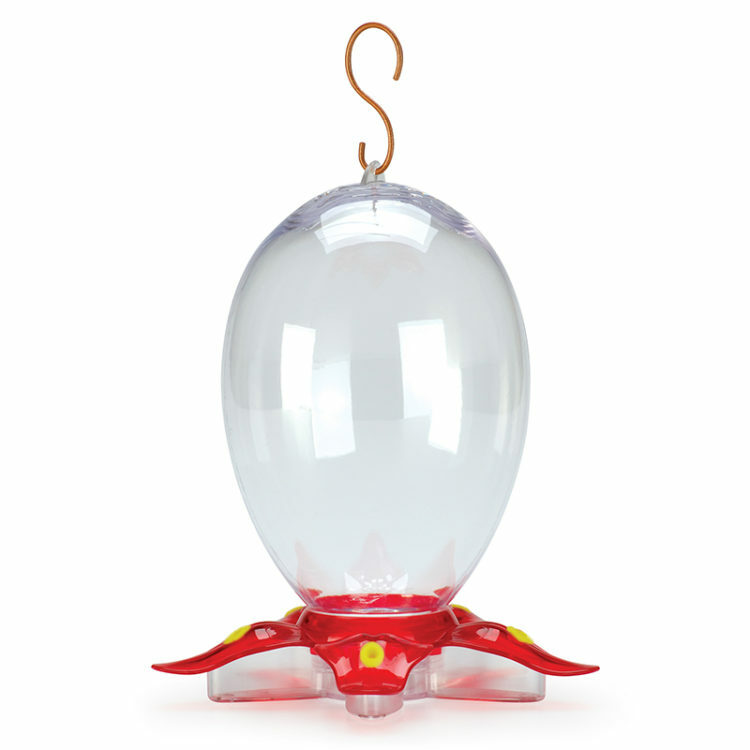 This mid-century modern bottle puts a new twist on hummingbird feeders. 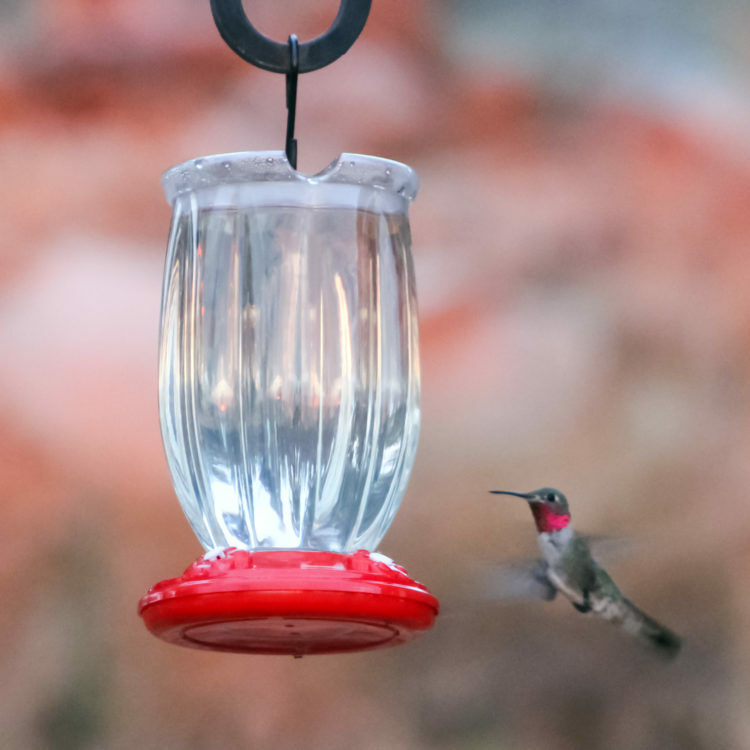 When it is hung, it will twist and turn when birds land on it for a drink, or when the wind starts moving. 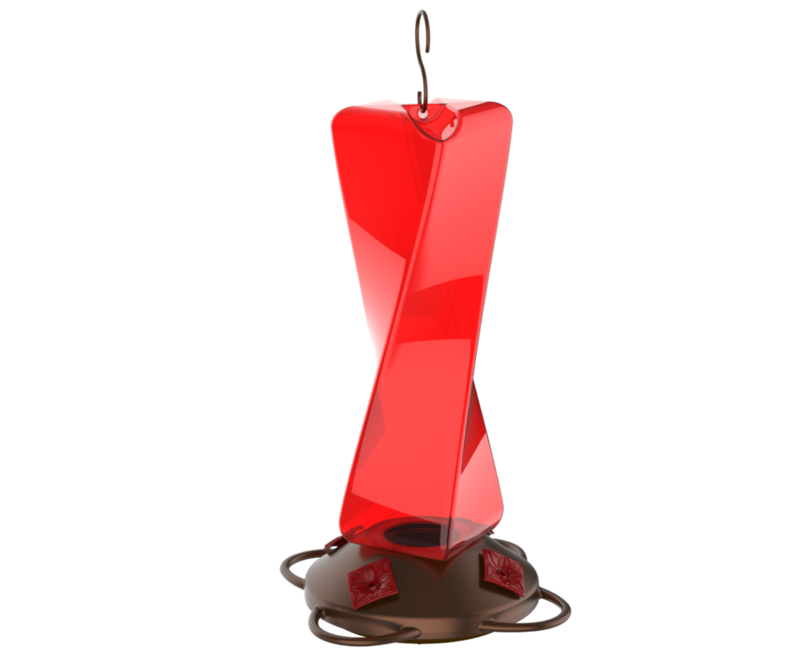 When this feeder moves, you will be mesmerized by the way this bottle reflects and interacts with the sun. 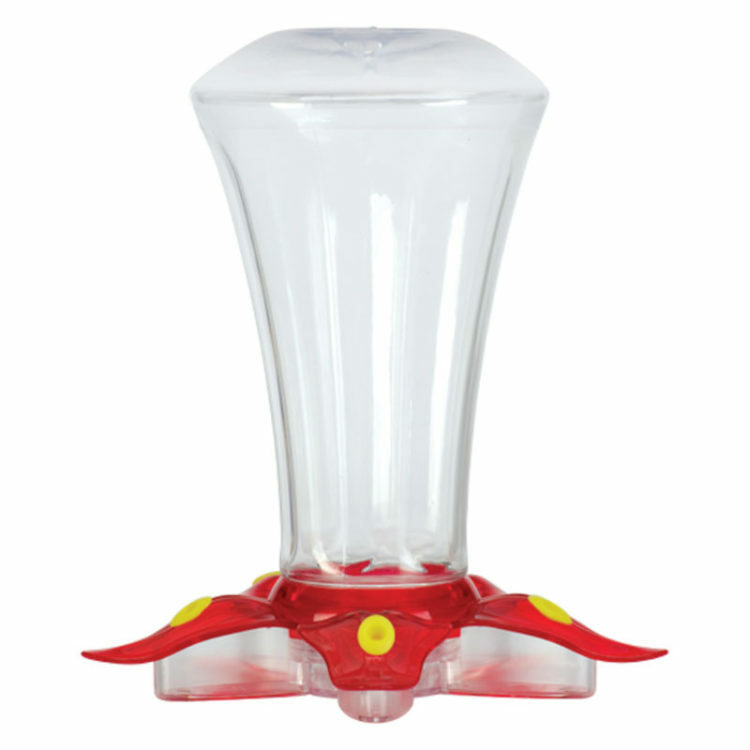 The 4 perches allow your small friends to sit comfortably and eat from any of the 4 ports. The base comes apart in 2 pieces, and the bottle has a large opening for easy cleaning. 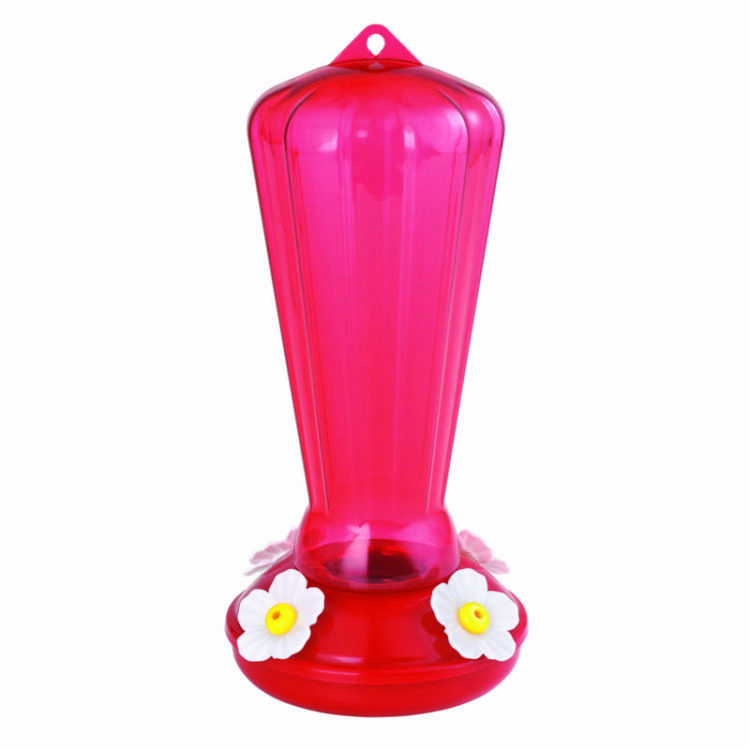 You can remove the included S hook and lay the feeder upside down without difficulty to fill the feeder easily.